The Spaniards arrived in 1492. 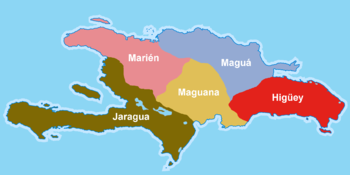 After initially friendly relationships, the Taínos resisted the conquest, led by the female Chief Anacaona of Xaragua and her ex-husband Chief Caonabo of Maguana, as well as Chiefs Guacanagaríx, Guamá, Hatuey, and Enriquillo. The latter's successes gained his people an autonomous enclave for a time on the island. 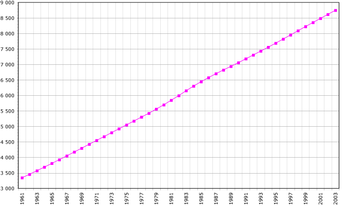 Within a few years after 1492, the population of Taínos had declined drastically, due to smallpox, measles, and other diseases that arrived with the Europeans, and from other causes discussed below. Christopher Columbus arrived on the island on December 5, 1492, during the first of his four voyages to the Americas. He claimed the land for Spain and named it La Española due to its diverse climate and terrain which reminded him of the Spanish landscape. Traveling further east Columbus came across the Yaque del Norte River in the Cibao region, which he named Rio de Oro after discovering gold deposits nearby. On Columbus's return during his second voyage he established the settlement of La Isabela in what is now Puerto Plata on Jan. 1494, while he sent Alonso de Ojeda to search for gold in the region. In 1801, Toussaint Louverture, who at least in theory represented imperial France, marched into Santo Domingo from Saint-Domingue to enforce the terms of the treaty. Toussaint's army committed numerous atrocities; as a consequence, the Spanish population fled from Santo Domingo in exodus proportions. French control of the former Spanish colony passed from Toussaint Louverture to Gen. Charles Leclerc when he seized the city of Santo Domingo in early 1802. 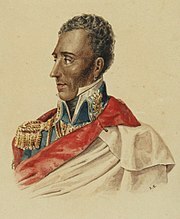 Following the defeat of the French under Gen. Donatien de Rochembeau at Le Cap in November 1803 by the Haitians, their new leader, Dessalines, attempted to drive the French out of Santo Domingo. He invaded the Spanish side of the island, defeated the French-led Spanish colonials at River Yaque del Sur, and besieged the capital on March 5, 1805. At the same time, the Haitian General Christophe marched north through Cibao, capturing Santiago where he massacred prominent individuals who had sought refuge in a church. The arrival of small French squadrons off the Haitian coast at Goncaives and at Santo Domingo forced the Haitians to withdraw. As Christophe retreated across the island, he slaughtered and burned. 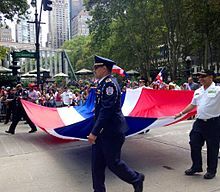 In October 1808 the landowner Juan Sánchez Ramírez began a rebellion against the French colonial government in Santo Domingo and the insurgents were aided by Puerto Rico and British Jamaica. The British ejected the French and returned Santo Domingo to the Spaniards in 1809. The Spaniards not only tried to re-establish slavery in Santo Domingo, but many of them also mounted raiding expeditions into Haiti to capture blacks and enslave them as well. 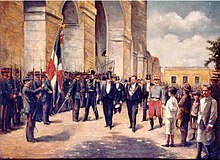 The Dominican Republic's first constitution was adopted on November 6, 1844. The state was commonly known as Santo Domingo in English until the early 20th century. 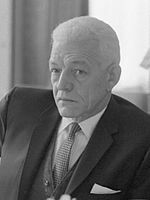 It featured a presidential form of government with many liberal tendencies, but it was marred by Article 210, imposed by Pedro Santana on the constitutional assembly by force, giving him the privileges of a dictatorship until the war of independence was over. These privileges not only served him to win the war but also allowed him to persecute, execute and drive into exile his political opponents, among which Duarte was the most important. In Haiti after the fall of Boyer, black leaders had ascended to the power once enjoyed exclusively by the mulatto elite. 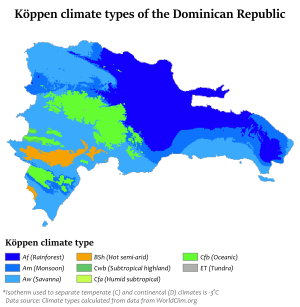 Without adequate roads, the regions of the Dominican Republic developed in isolation from one another. In the south, also known at the time as Ozama, the economy was dominated by cattle-ranching (particularly in the southeastern savannah) and cutting mahogany and other hardwoods for export. This region retained a semi-feudal character, with little commercial agriculture, the hacienda as the dominant social unit, and the majority of the population living at a subsistence level. 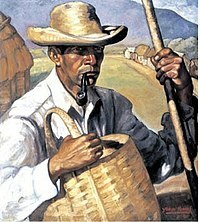 In the north (better-known as Cibao), the nation's richest farmland, peasants supplemented their subsistence crops by growing tobacco for export, mainly to Germany. 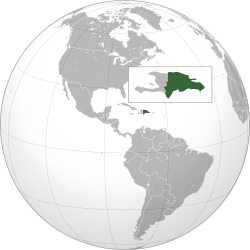 Tobacco required less land than cattle ranching and was mainly grown by smallholders, who relied on itinerant traders to transport their crops to Puerto Plata and Monte Cristi. 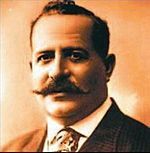 Santana antagonized the Cibao farmers, enriching himself and his supporters at their expense by resorting to multiple peso printings that allowed him to buy their crops for a fraction of their value. In 1848, he was forced to resign and was succeeded by his vice-president, Manuel Jimenes. 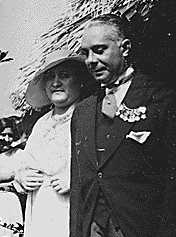 Balaguer remained in power as president for 12 years. His tenure was a period of repression of human rights and civil liberties, ostensibly to keep pro-Castro or pro-communist parties out of power; 11,000 persons were killed. 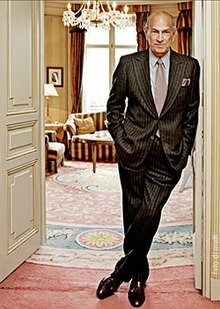 His rule was criticized for a growing disparity between rich and poor. It was, however, praised for an ambitious infrastructure program, which included the construction of large housing projects, sports complexes, theaters, museums, aqueducts, roads, highways, and the massive Columbus Lighthouse, completed in 1992 during a later tenure. 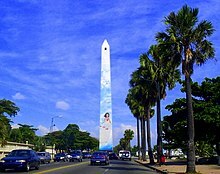 The Dominican Republic has the ninth-largest economy in Latin America and is the largest economy in the Caribbean and Central American region. 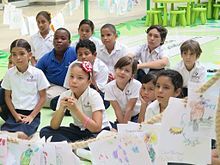 Over the last two decades, the Dominican Republic has had one of the fastest-growing economies in the Americas – with an average real GDP growth rate of 5.4% between 1992 and 2014. GDP growth in 2014 and 2015 reached 7.3 and 7.0%, respectively, the highest in the Western Hemisphere. In the first half of 2016 the Dominican economy grew 7.4% continuing its trend of rapid economic growth. Recent growth has been driven by construction, manufacturing, tourism, and mining. Private consumption has been strong, as a result of low inflation (under 1% on average in 2015), job creation, as well as a high level of remittances. 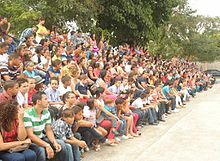 The Llano Costero del Caribe ("Caribbean Coastal Plain") is the largest of the plains in the Dominican Republic. Stretching north and east of Santo Domingo, it contains many sugar plantations in the savannahs that are common there. West of Santo Domingo its width is reduced to 10 kilometres (6.2 mi) as it hugs the coast, finishing at the mouth of the Ocoa River. 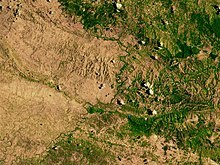 Another large plain is the Plena de Azua ("Azua Plain"), a very arid region in Azua Province. A few other small coastal plains are on the northern coast and in the Pedernales Peninsula. 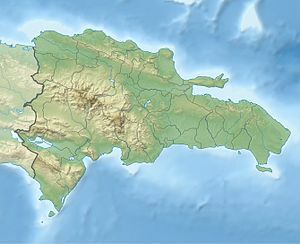 The Dominican Republic is located near fault action in the Caribbean. In 1946 it suffered a magnitude 8.1 earthquake off the northeast coast. This triggered a tsunami that killed about 1,800, mostly in coastal communities. The wave was also recorded at Daytona Beach, Florida, and Atlantic City, New Jersey. The area remains at risk. Caribbean countries and the United States have collaborated to create tsunami warning systems and are mapping risk in low-lying areas.